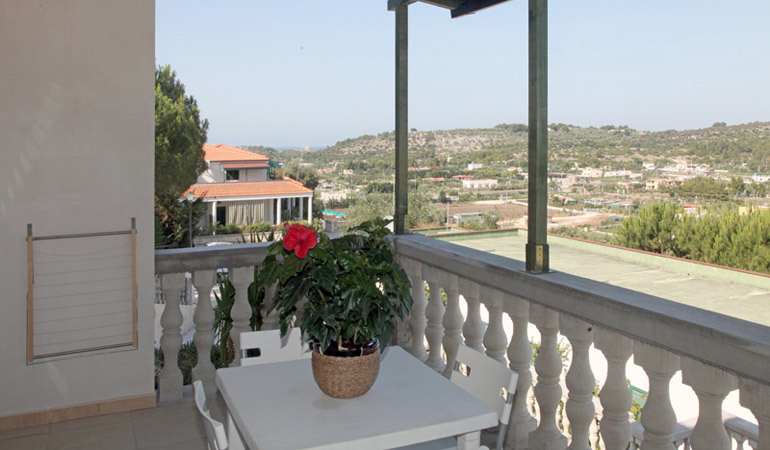 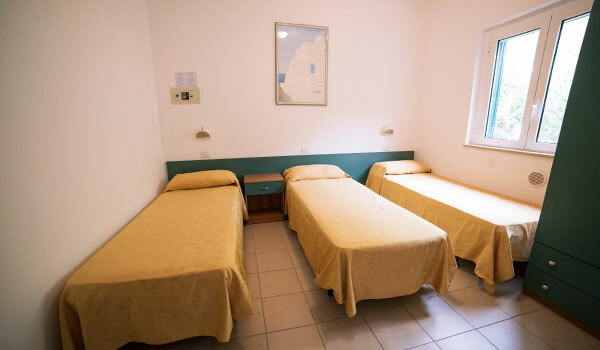 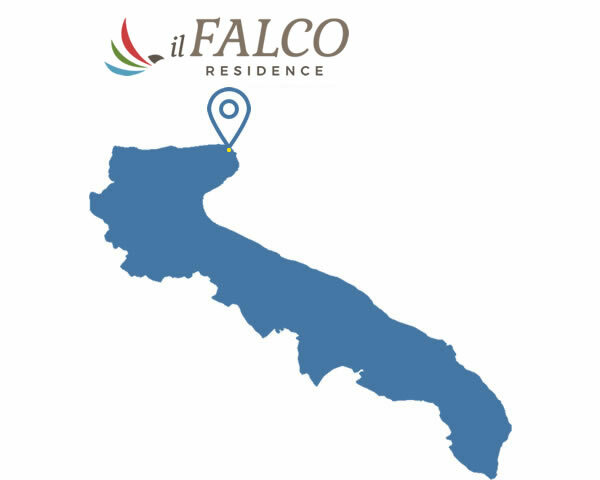 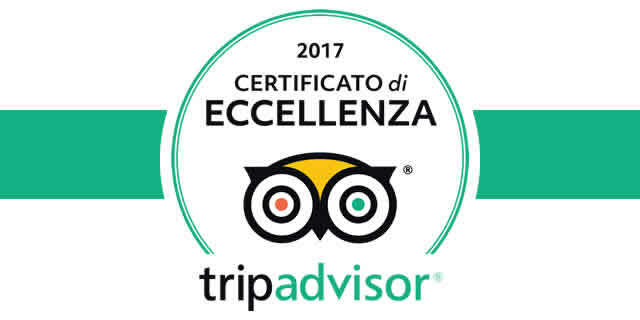 The apartments of the Village Il Falco in Vieste are functional, with a basic furniture but comfortable and equipped with all the usefull and necessary accessories to live a cheerful holiday. 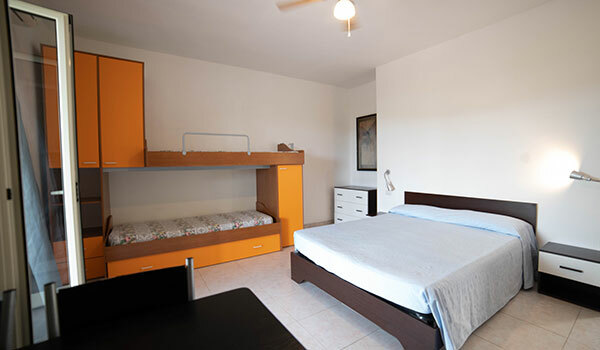 They have air conditioning on request, TV sat, microwave oven, fridge, hair dryer, sofa, private bathroom, independent entrances and, some of them, have also an outdoor solarium. 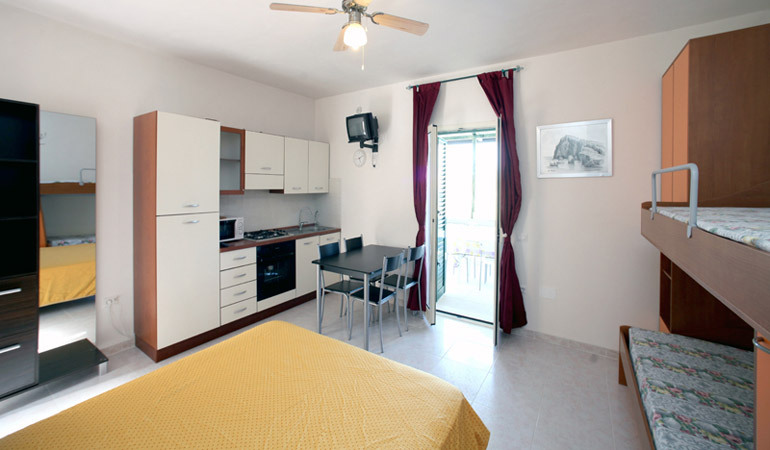 The studio flat for 2 persons has: 1 double bedroom, kitchenette, bathroom with shower box, veranda. 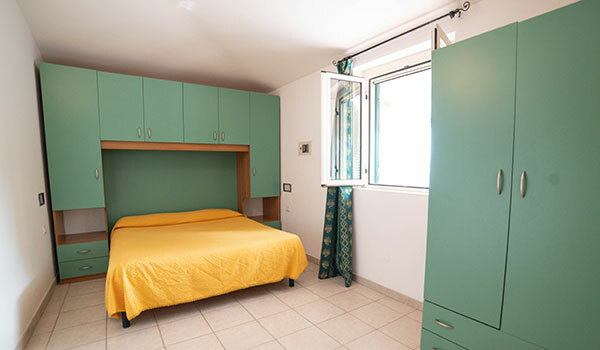 The studio flat for 4 persons has: 1 double bedroom with bed that can be pulled out, kitchenette, bathroom with shower box, veranda.